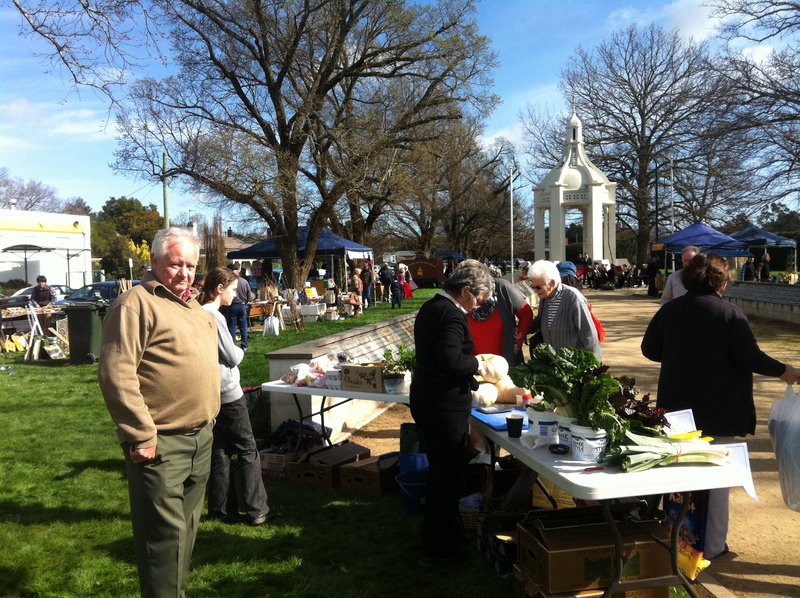 What do town markets, boutique wineries, a lavender farm, a national park and a Bollywood night have in common? All were wonderful ways to distract myself from election day 2013! I’d been dreading yesterday for weeks – feeling heavily weighed down by the knowledge that it would inevitably result in a Government I don’t want and that in the process I would have to make a choice between “alternatives” that to me were basically as terrible as each other. In all my experience of elections to date, I have never felt so miserable about the country’s political leadership and the future they offer. Counter to all expectations, I awoke to a gorgeous blue sky and sunshine! That certainly helped raise the spirits. I determined that I would get voting out of the way early and go spend the rest of the day exploring my adopted Shire to visit some of the businesses that are participating in the Victoria Tourism Week local ambassadors campaign I put together for work. 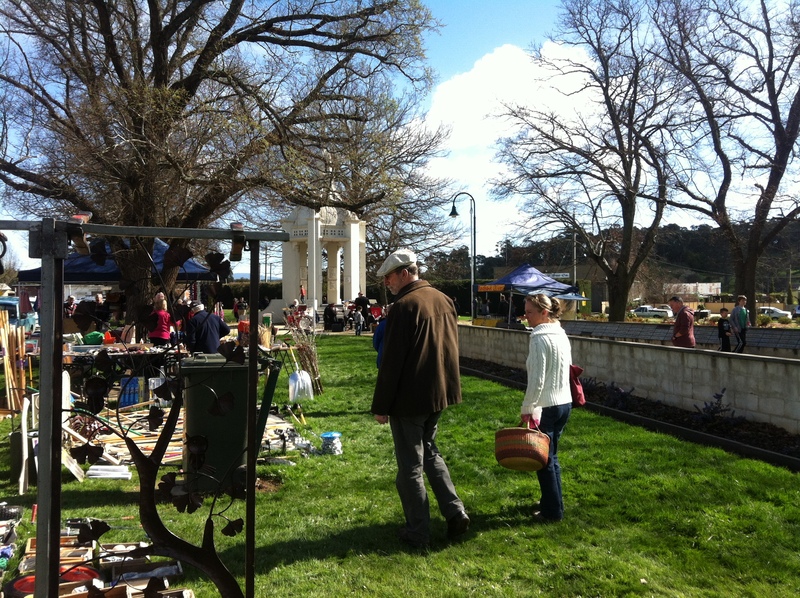 After voting I called in to check out the return of monthly market in Beaufort – and was very pleasantly surprised! I have to admit, when I first experienced the market I was pretty disappointed at what I found. It lacked life and energy and any great distinguishing factor. It seems many others were feeling the same and over winter the market took a recess. Yesterday was the first day back under a new coordinator, after a community and business meeting reinforced the desire for the market to continue and prosper. The local brass band was playing, the sun was shining and although I’m sure many of the stalls there were just the same as had been there before, gee it was good to have them back! I’d love to see the markets build and grow in strength and popularity – fingers crossed. I then headed north to meet up with a friend in Avoca for a coffee before we headed up to Moonambel. There we visited a couple of small boutique wineries – Counterpoint and Gwynnyth – on our way to the Barkly Lavender & Rose Farm for lunch & cake, and then a quick stop at Sally’s Paddock on the way back. Extraordinarily beautiful weather and the stunning Pyrenees and St Arnaud Ranges gave us a fabulous backdrop for a really enjoyable afternoon. Back in Beaufort, I just had to time to get creative with my clothing before attending a Bollywood night at the Stockpot and Ladle, a new restaurant that’s in in the process of getting established by friends Sara and Liz. Much fun and laughter, only a little bit of checking how the election results were falling out, and fabulous food and drink made for a great night out. Looking forward to the next occasion at S&L! And thanks for the distraction guys, much appreciated. This entry was posted in Uncategorized and tagged Australian Election 2013, Avoca, Barkly Lavender and Rose Farm, Beaufort Market, Moonambel, Pyrenees Wine Region, St Arnaud Ranges, Stockpot and Ladle Beaufort. Bookmark the permalink.